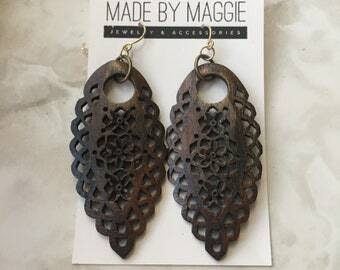 Genuine Leather Earrings - Studded Leather earrings are an original MADE BY MAGGIE design. 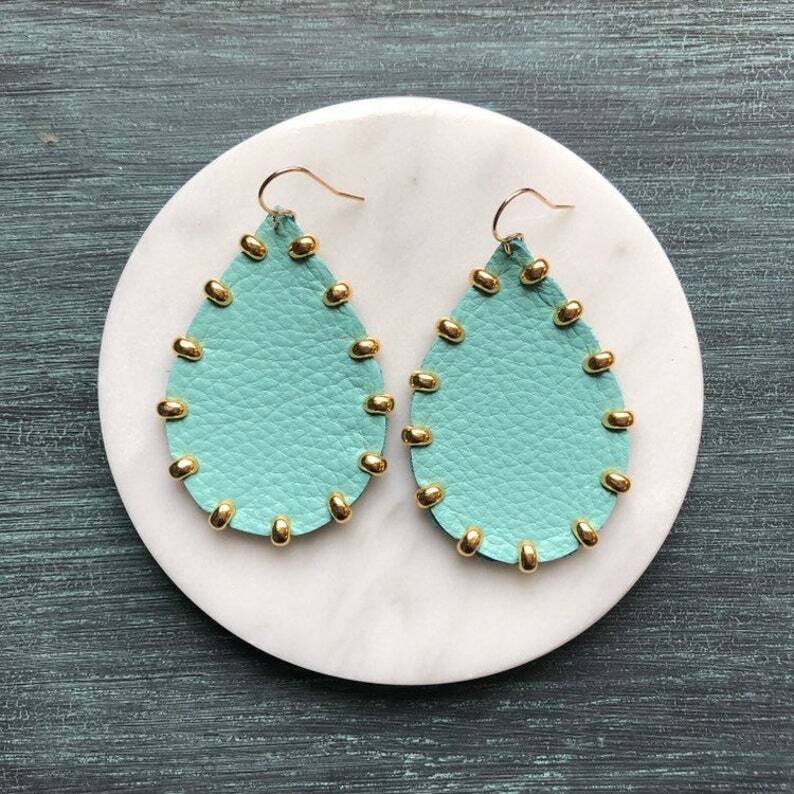 These Aqua leather teardrops are trimmed with gold studs. They measure approximately 2.25 inch and dangle from 14k gold filled handcrafted earwires.